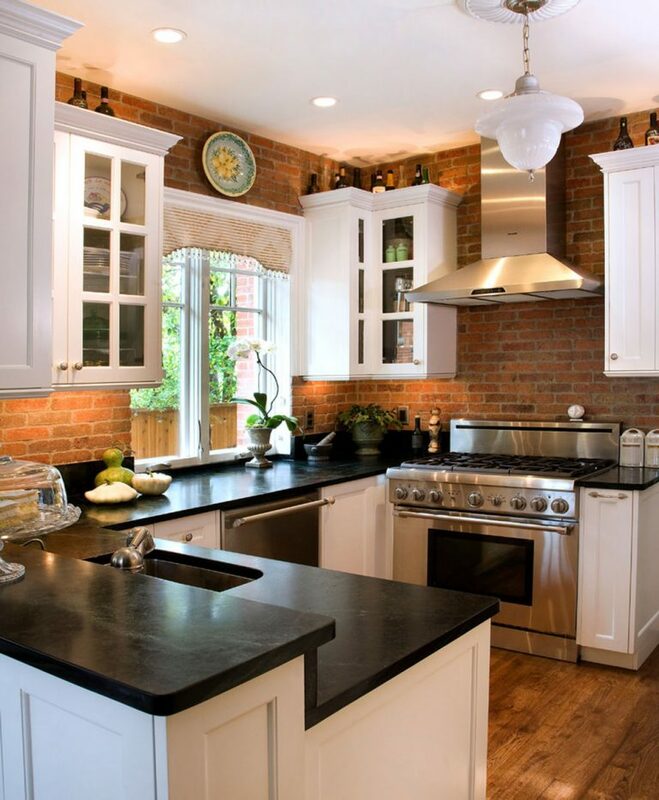 Generally, the main function of the kitchen is to cook. However, to add another function to the kitchen is a good idea so that you can maximize the space, especially for the tiny house. 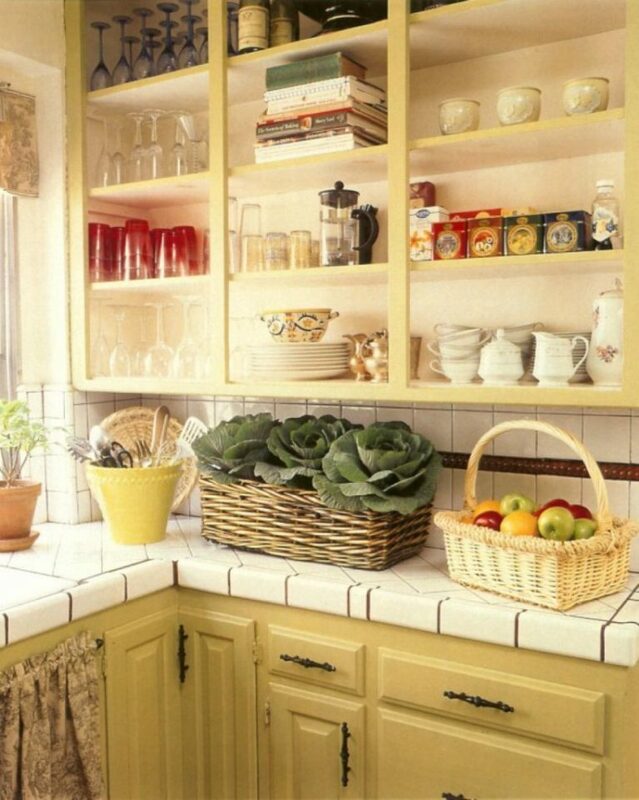 One function that can be added to the kitchen is the kitchen as a place for gathering. 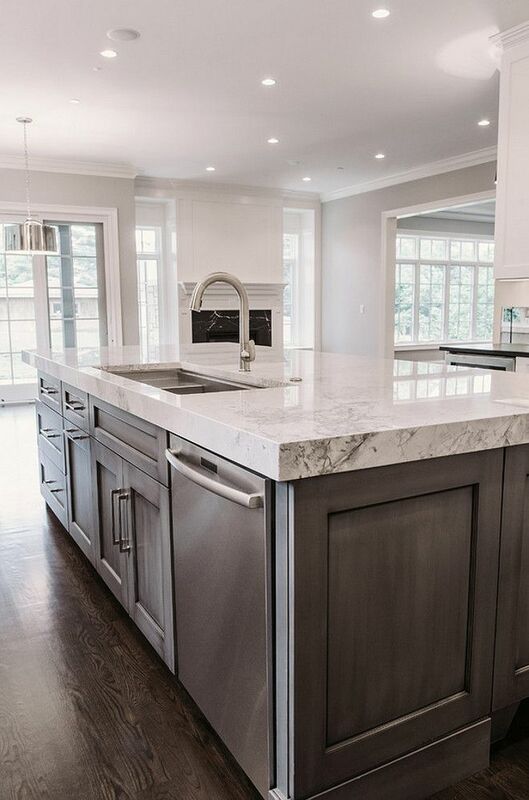 To add this function, you need a kitchen island, an area in the kitchen that resembles an island and can be functioned as the place to serve food, to wash the dish, or for gathering with your family and colleagues. There is no word in this world that can explain the ambiance brought by this kitchen except the word “cozy”. With the combination of wood as the material for table legs and marble countertops, this kitchen island idea will make the ambiance so homey and make it a great place for family or best friend gathering. READ Your Kitchen is So Boring? 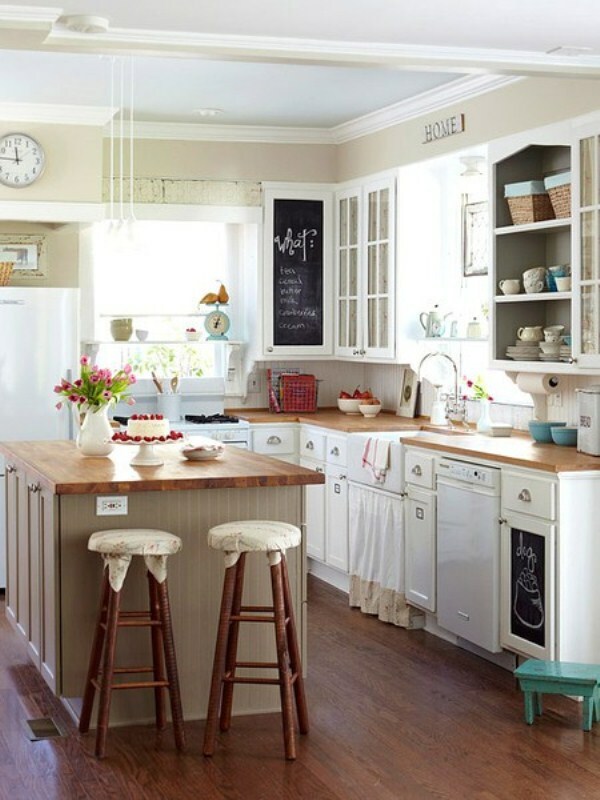 Try These 6 Kitchen Decor Ideas to Make Your Kitchen Stands Out! Mississippi barn known for its natural and rustic concept, that is why wood is the most important element for Mississippi barn concept. To accentuate the natural looks, you can pick rattan chairs and give some retro-style pillows above it to give the modern touch. Luxurious doesn’t always mean big. In the tiny kitchen, you can still get the luxury, as long as you know the trick. One of the best trick to give luxurious touch for your kitchen is by giving the marble countertops for your kitchen island. Not only luxurious, countertops made from marble is easy to clean and also waterproof, so you do not have to worry about mineral water or the coffee spoil on it. To balance the marble material, you can use white color for the table as well as the table’s legs made from the wood material. If you are living in the urban society, this kitchen island will be a favorable place for gathering with your neighbors or best friends. This is how you create a “back to the future” looks in your kitchen: adding a kitchen island made from oak with the dark walnut color. Surrounded by white color all around the kitchen, this kitchen island will be a center of attention and become an interesting point of the kitchen. The sharp corners on this geometric kitchen island will emphasize the minimalist look of it. And the use of sink made from stainless steel material will give you the modern touch that suits the urban life. If you love a gathering place with “back to the village” concept, this kitchen island theme is a good idea for you, even though you are living in a big metropolitan city. 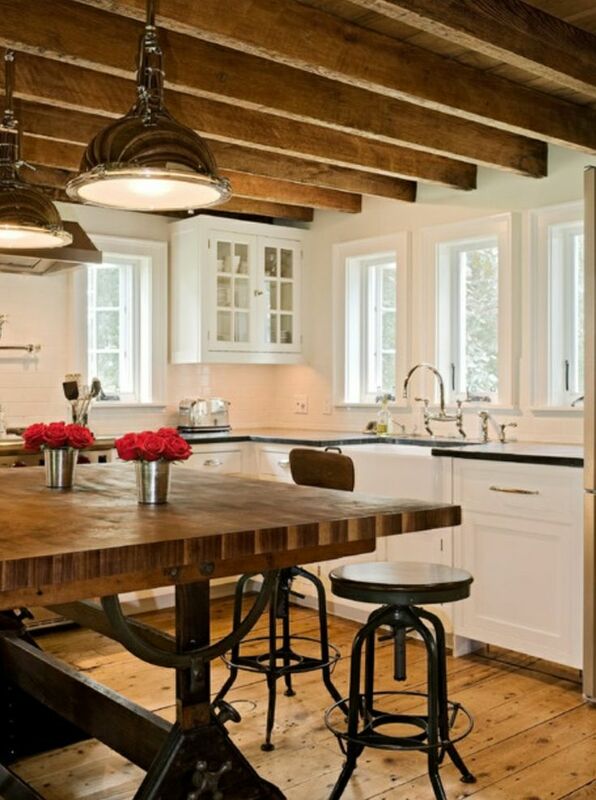 Handmade looks kitchen island made from the varnished wood to make a natural impression. 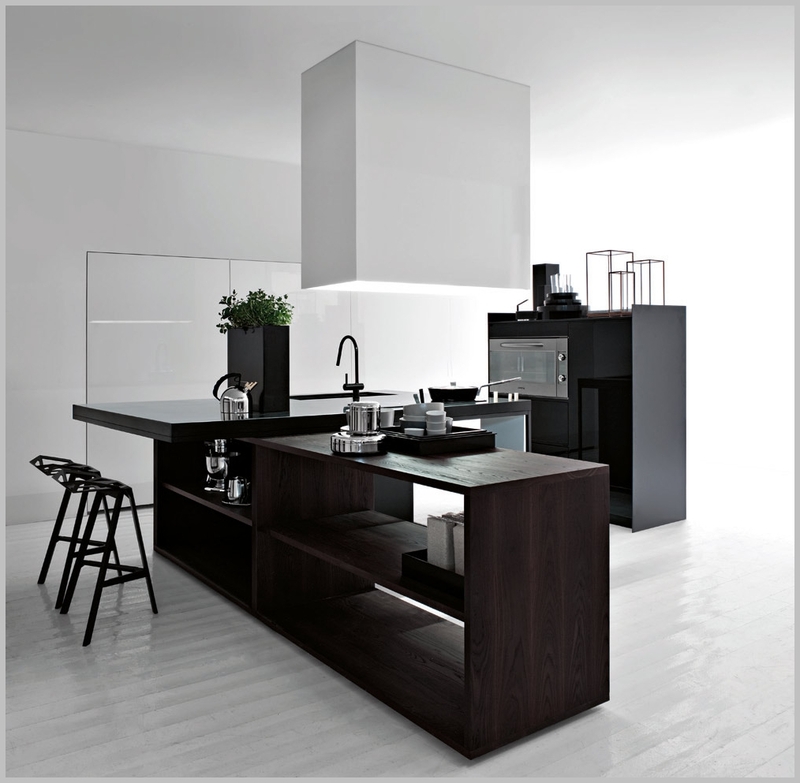 However, to make it suitable for minimalist themed kitchen, black marble materials are used as the countertops. In the left side, there is already a sink so that you can directly wash all the dirty dishes once you have used it. Do you want to serve a luxury to your colleagues? Or just a wine-lover who loves to collect and drink some high-quality wines? Then you deserve a wine refrigerator. But, how if you are running out of space and your kitchen is already full? 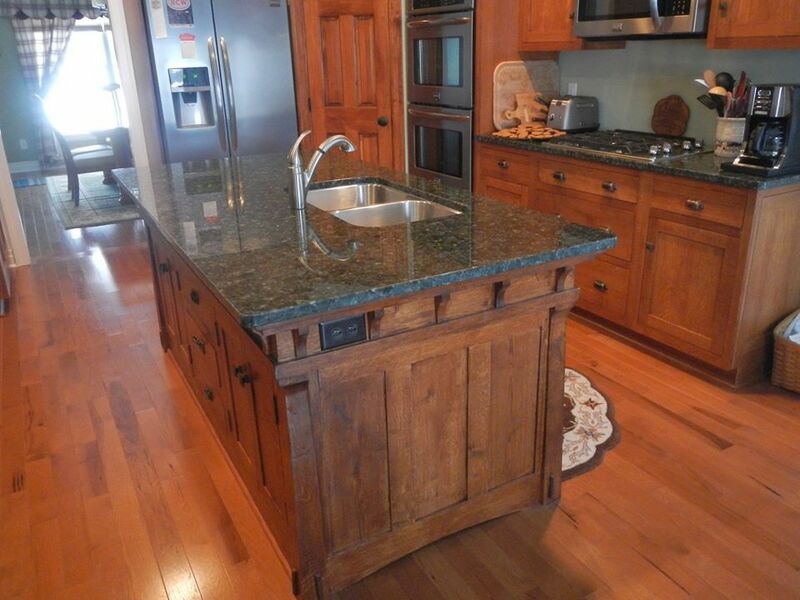 You don’t have to worry about it since you can combine it with the kitchen island like the picture above. That is such a splendid combination of a honey-wood kitchen island, marble countertops that seems like black-pearl, and a mini wine refrigerator with glass door. So minimalist, and so classy. 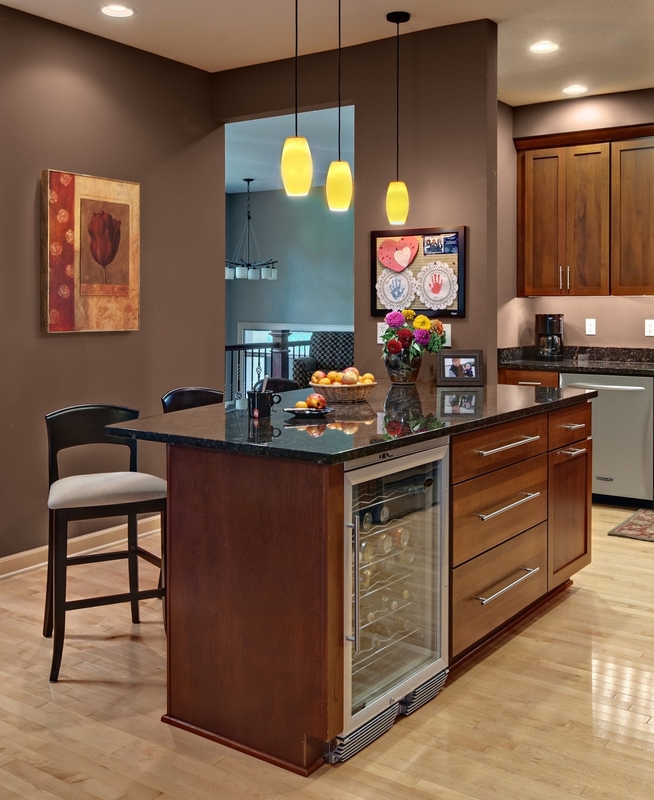 To emphasize the classy look, pick some hanging lamps and decorate the kitchen with pastel grey color and a painting. For the chairs, choose the modern-minimalist chairs with honey wood legs. It also reflects like light both inside or outside so that the kitchen will look brighter and will look wider. 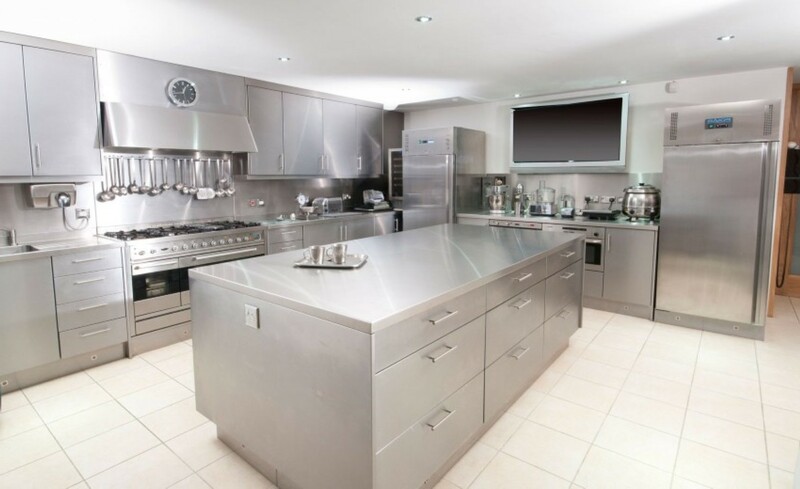 The stainless-steel also gives you a cohesive look which can bring a good ambiance for cooking and serve food. The most important things besides magnificent design, a kitchen island must be easy to clean and durable, that is why all the kitchen island ideas described above are the best choices for you. On the other hand, don’t forget to clean your kitchen island regularly so it won’t get dull and will always look magnificent all the time.